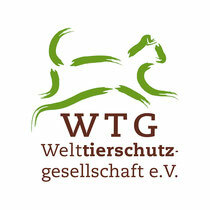 The day is Wednesday and like any other morning at the Castration Center, the team expects a busy day. But this Wednesday has an ominous start. 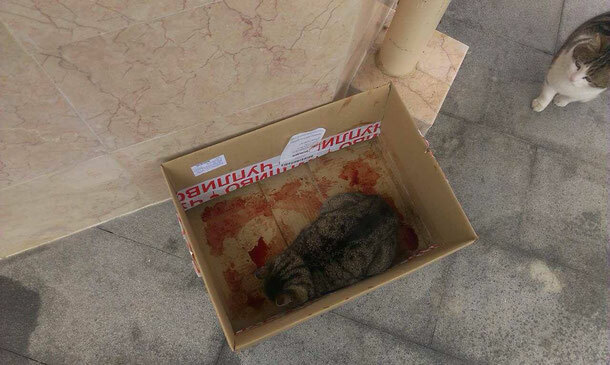 The box in front of the clinic is covered with blood and the cat in there is absolutely inadequate, and shows no signs of life apart from the slow and uneven, irregular breathing. His temperature is below the lowest on the scale and until the evening it barely reaches 36C despite the warm-up and the infusions. We did not think he would survive but we were not about to give up so easily. All symptoms indicated brain edema caused by some kind of blow and major head injuries. The Castration Center is neither equipped nor designed for such cases. But the state in which the cat was did not allow for transportation and our only option was for the doctors to stabilize it right then and there. On the second day of his arrival half-dead, we got the courage to name him and to hope. We named him Vyron. The fight for Vyron is far from over. He went through numerous operations in a clinic in Sofia. It was necessary to fixate the broken lower jaw, to operate the fissure of the palate, to remove part of the small bones that had pierced the palate and were sticking out from his mouth. This was followed by days of treating the necrotizing lower part of the jaw and a correction of the entropium of one of its eyes. The Haemobartonella, FIV, ear scab – we don’t even count these. Vyron will never be a healthy kitty. But he eats, purrs and asks for cuddles. He might even find a home, although most stray cats like him do not get this chance. Please, think of Vyron the next time you think the baby kittens around your apartment building are cute. Think of him when you wonder whether it is okay to castrate your own cat or this is going against nature. Because what happened, and is still happening to Vyron, has nothing to do with nature. Because neither cars nor poison nor hormones nor the birth of 5 to 7 kittens every six months have anything to do with nature. And it is not fair to Vyron, nor to all other animals in your neighborhood. Castrate! Help them! Convince the people around you to help them! They have no one else but you! 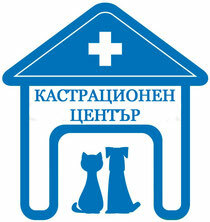 You can castrate for free in the Castration Center in Plovdiv. Make an appointment every work day between 14:00 and 16:00 by calling 032/207 379. Domino was castrated in the Castration Center about two months before she ended up with us again. She was the sole survivor of her stray litter. Until now. And not quite. Domino had probably tried to get some warmth from a parked car and fell asleep. Something typical for the cold winter months. She had no idea that the car would start and the strap would go through her paws. Her front paws were crushed and twisted, and part of the left one was missing. She had traces of burn on both her chest and hind paws. Our medics at the Castration Center immediately gave fist aid and managed to stop the infection from spreading in the next few days. But … they neither have the authority or the conditions in which to proceed further. 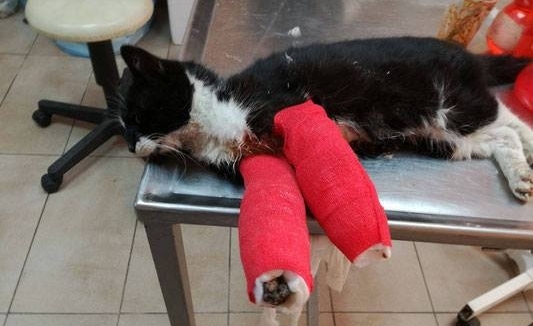 Domino was immediately moved to a clinic in Sofia due to the severity of her case. The medics there fought for weeks to piece together a puzzle where the right piece could not be found. Today, Domino is with an amputated front left leg and still recovering right paw. If at first to us came a young, quite social and scared kitten, today Domino looks at us with the eyes of an adult animal that has been only through pain and suffering, and jumps at anyone who passes by the cage she lives in. She is the sole survivor of her litter. And so far, all she’s felt is pain. We wish we could have castrated her mother before she could give birth to her. We don’t want to see pain and uncertainty in her eyes. Nor to think of how her brothers and sisters have died. We want people to understand that there is only grief on the street. And that neither the animals deserve this life, nor people deserve to see their daily suffering. Because Domino was no accident. She is just a sample of the hundreds of cases of injured and killed animals on our streets. Friends, do not let this happen on your street! Talk to your relatives and acquaintances, talk to your neighbors. Castrate!